The Public Interest Petitions (W.P(C)No.513/2013 and W.P(C)No.728/2013)filed by Gurudas Dasgupta, a veteran leader of Communist Party of India and Common Cause, an NGO of repute are being heard by Supreme Court. The gas contract and pricing are questioned in the Public Interest Petitions. The PIL is being heard by a Bench consisting of Justices B.S. Chauhan, J. Chelameswar and Justice Kurian Joseph. While the matter is being heard, the Petitioner Common Cause, has filed a fresh application seeking a direction to the Union of India not to amend the Production Sharing Contracts (PSCs) with Reliance Industries Ltd (RIL) as proposed in Draft Cabinet Committee on Economic Affairs (CCEA ) note dated 31.03.2014 while the writ petition is pending. A further direction has been sought to Reliance to relinquish the oil and gas fields that it ought to have surrendered in terms of the relevant PSCs. 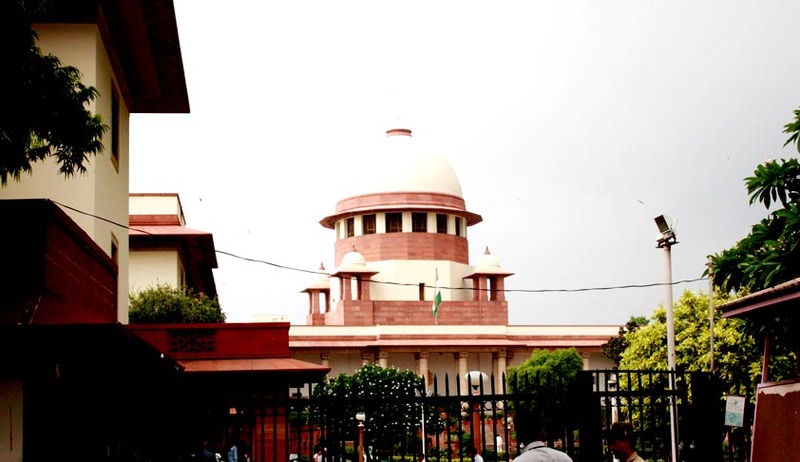 According to Application, filed through its Counsel Sri Prashant Bhushan, the note for CCEA mentions that the fields that Reliance would be entitled to retain consequent to the amendment of the PSC are valued at $ 1.45 billion at the current price of gas of $4.2/mmbtu, and if the price is doubled as per the decision of Union of India, which was to come into effect on 01.04.2014, the value of the largesse proposed to be granted to Reliance would be almost $3 billion. If the amendment comes into effect, there will be further benefit to RIL of $5.46 billion at current prices and of almost $11 billion at the revised price of $8.4/mmbtu. Thus, a whopping benefit of $14 billion is illegitimately sought to be conferred on Reliance, the petitioner alleges. It is alleged in the petition that CCEA note has been moved while the hearing of this matter is going on before the Supreme Court. Earlier, Live Law has reported that during the hearing of the petition, Mr Prashant Bhushan had raised serious allegations against Reliance. Mr Bushan who is appearing for Common Cause submitted that the government has not even bothered to investigate an open and shut case of huge money laundering done by Reliance and Mr. Mukesh Ambani. According to him, this is despite the fact that Indian High Commission in Singapore had written to the Central Government as far back as on 31st August 2011 requesting for an investigation. Sri Harish Salve, Senior Advocate is defending reliance and according to him, the allegations are baseless and has been arguing that he would be able to demolish the case of Petitioners.